How Much Does the Average American Spend Each Week On Lunch? 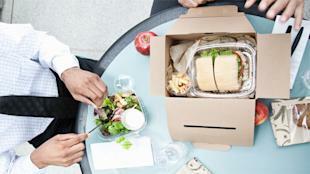 According to an Accounting Principles survey, two-thirds of employed Americans spend $37 a week on lunch or $2,000 a year on lunch and about $1,000 a year on coffee. That costs more than the amount people spend on commuting which averages out to about $1,500 annually. Also, if Americans decided to bring their lunch to work and drop their coffee habit, they would save up to $3,000 a year. The research did note some key differences when comparing gender and age, explaining that men spend $46.50 weekly on lunch while women spend $26.50 a week. To continue the conversation about the cost of your lunch, click here.